When I know I’m going to have a busy day, I turn to my crock pot. 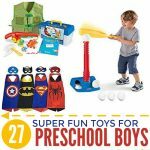 I can pile the ingredients in the slow cooker and go about my day playing with the kiddo, working and catching up on chores. 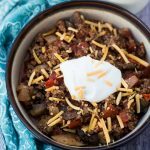 So when my husband started low carbing, I knew I’d need to find some go-to recipes for the slow cooker for those busy days. 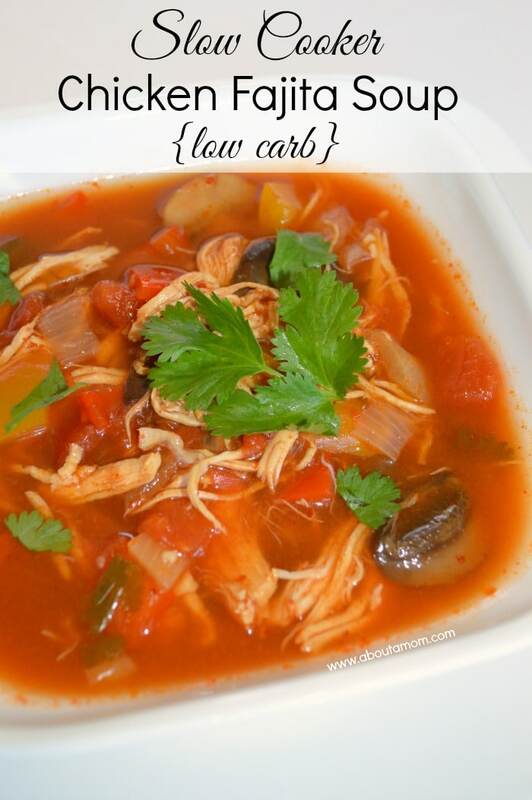 If you’re looking for the same thing, these low carb crock pot recipes will be as much of a lifesaver to you as they are to me. Enjoy! 1. 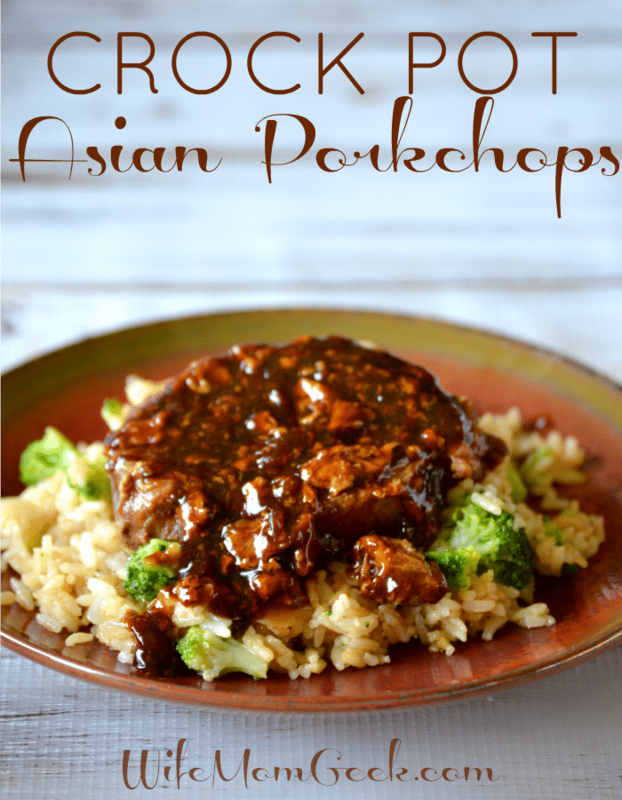 Our Crock Pot Asian Pork Chops recipe is one of our most popular. The pork chops are so tender they fall apart, and the sauce is super yummy over riced cauliflower (or rice for the non-low-carbers in your family). 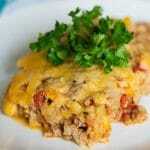 You’ll also like our other recipe for low carb crock pot porkchops. 2. 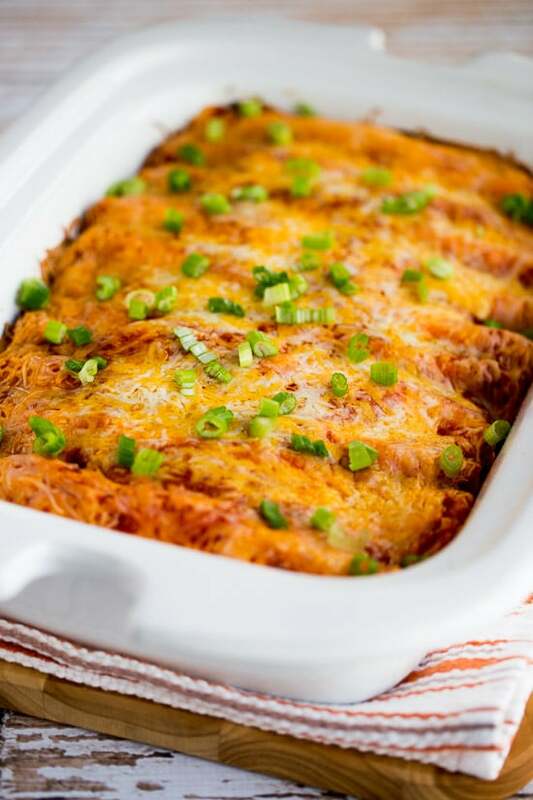 The Low-Carb Slow Cooker Sour Cream Chicken Enchiladas look amazing. 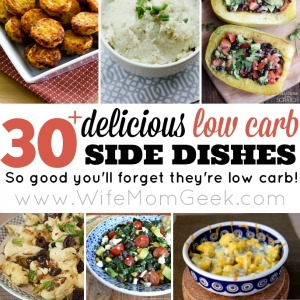 They’re made with low carb flour tortillas, so you feel like you’re indulging when you’re really staying on track. 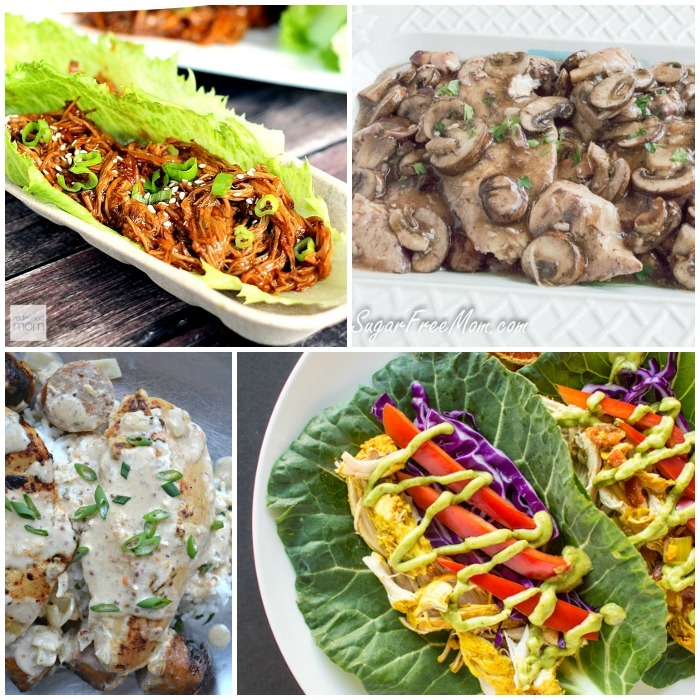 Get more Low Carb Mexican Recipes! 3. 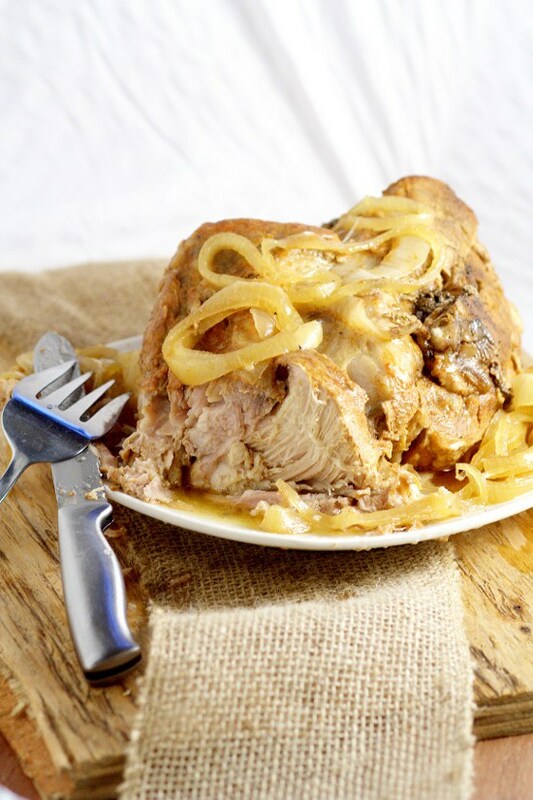 Nothing says Sunday supper like a nice, big Crockpot Pork Roast. Substitute Splenda or your sugar-free sweetener of choice for the sugar in the recipe, and you’re all set. 4. 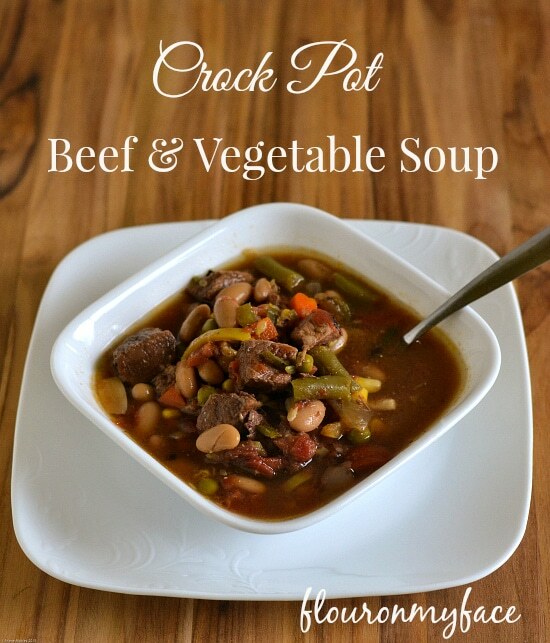 Crock Pot Beef Vegetable Soup will warm you up on a cold winter’s day. You may need to leave the beans out if you’re not yet in a phase that allows beans. 5. 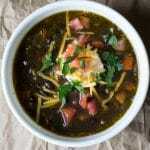 How about some Chicken Fajita Soup for dinner? Add a dollop of sour cream and a pinch or two of cheese on top… yummo! 6. Slow Cooker Sausage and Peppers is a hearty meal that will satisfy the hungriest of appetites. Love that spicy kick. 7. 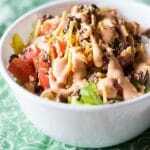 Lettuce wraps are a delicious and easy option for lunch or dinner. 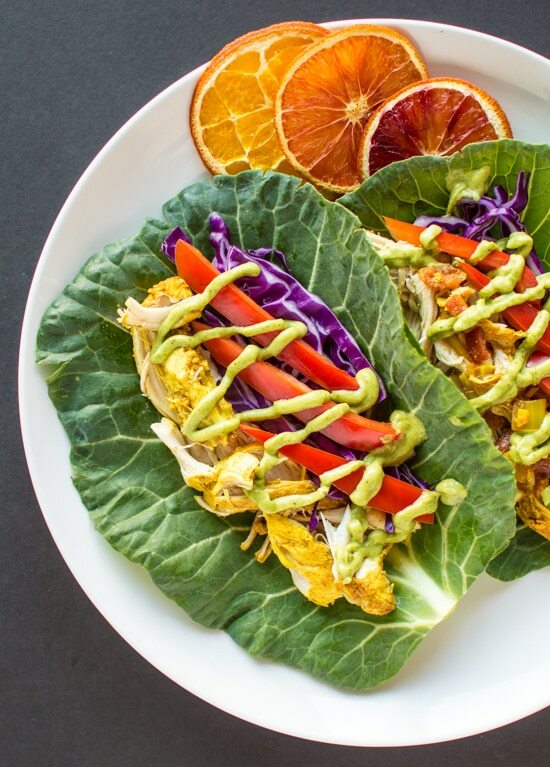 If you enjoy them as much as we do, try this Slow Cooker Curried Chicken Tacos with Avocado Crema – all the delicious flavor with none of the guilt. Remember to use full-fat yogurt for the sauce if you’re on a strict carb count. 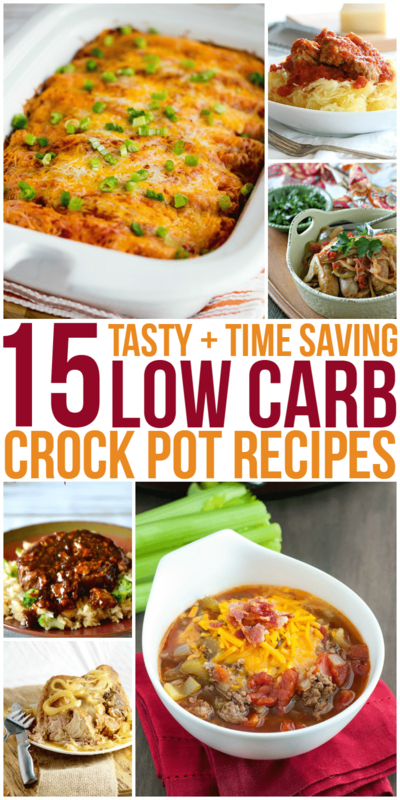 Need more low carb crock pot recipes? 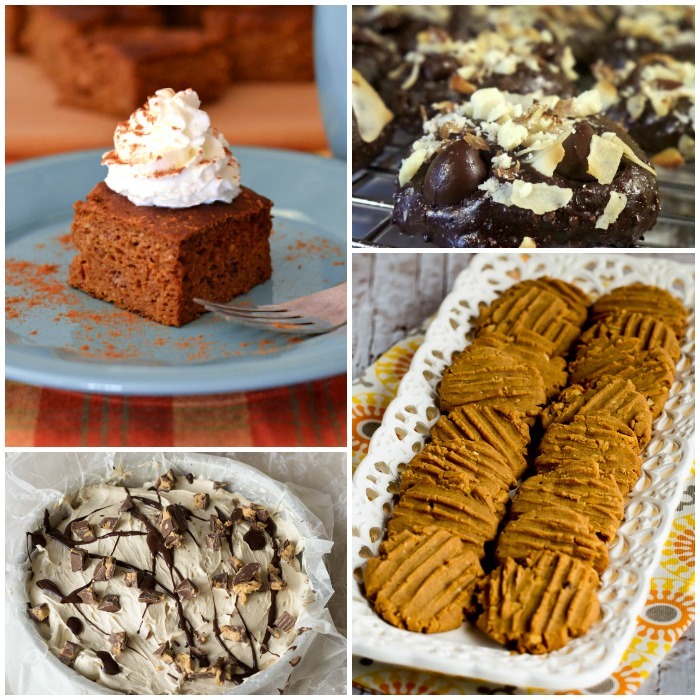 These cookbooks are full of ideas! Just click on the cookbook cover to buy or to find out more info. 8. 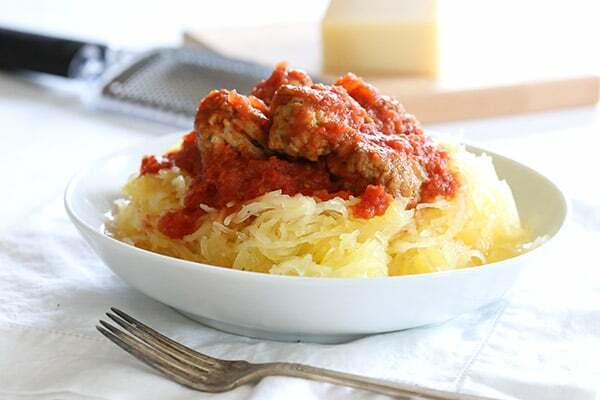 This Spaghetti Squash and Meatballs requires almost no prep, so it’s perfect for those days when you’re just too busy to deal with a fussy meal. 9. 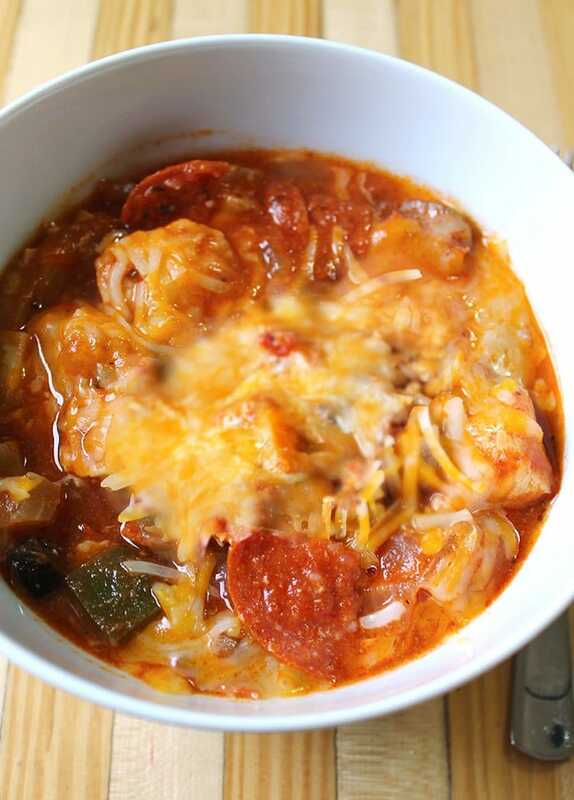 This Slow Cooker Pizza Chicken is very similar to a casserole I make for my husband. I love anything pizza-inspired! 10. I’ve always loved cheeseburger soup, but the variations I’ve seen all involve potatoes — a big no-no when you’re low carbing. 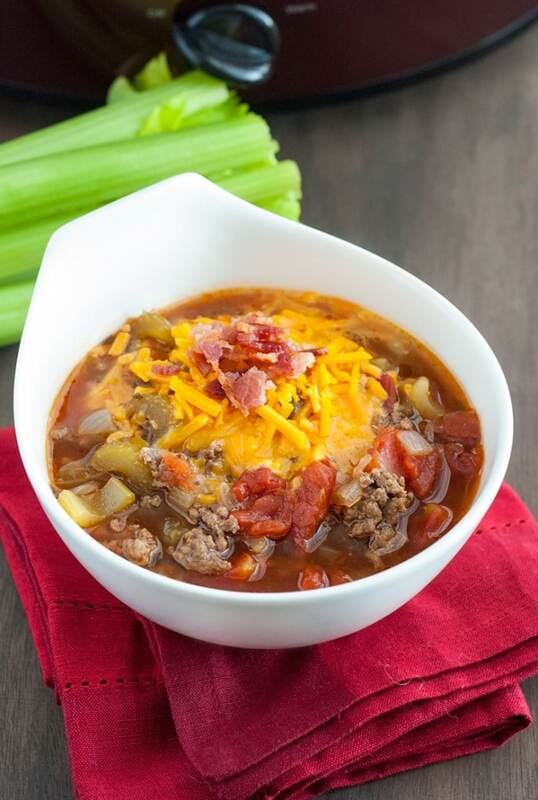 Well, this Slow Cooker Cheeseburger Soup looks fabulous, and it’s under 11 carbs per serving. 11. 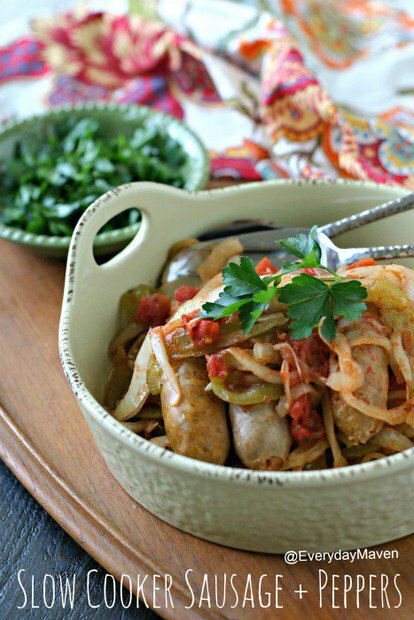 This Slow Cooker Chicken and Sausage really will knock your socks off! Serve it over noodles for those in your family who like carbs, and serve it with a big salad or over a bed of riced cauliflower for yourself. Delish! 12. Personally, I can eat chili any time of year. Cold, blustery day? Yes, please. Sweltering hot summer day? I don’t care… I’m gonna have a big bowl of chili! 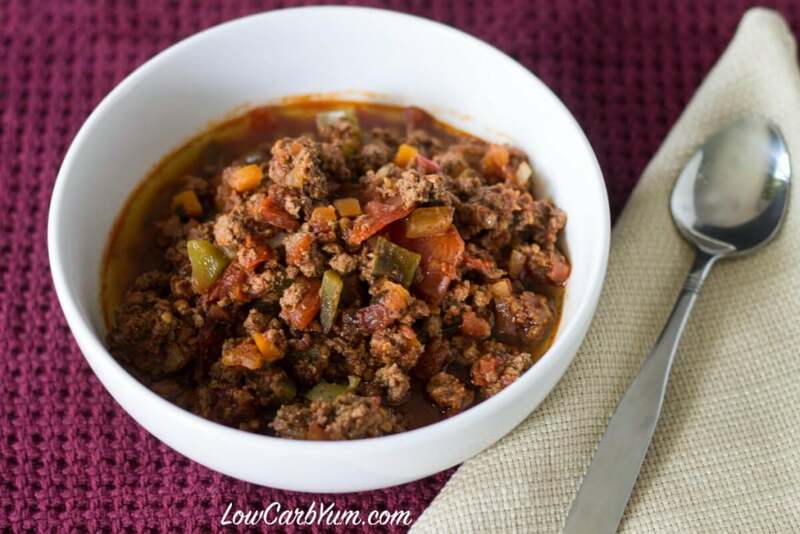 Texas Slow Cooker Beef Chili is on my menu for this week! 13. 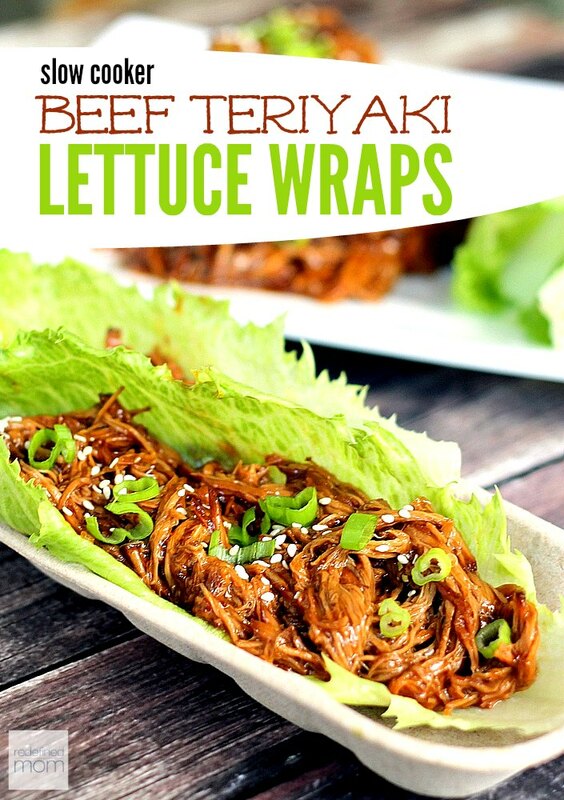 Get your Asian food fix with a heaping helping of Slow Cooker Beef Teriyaki to make delicious lettuce wraps. 14. 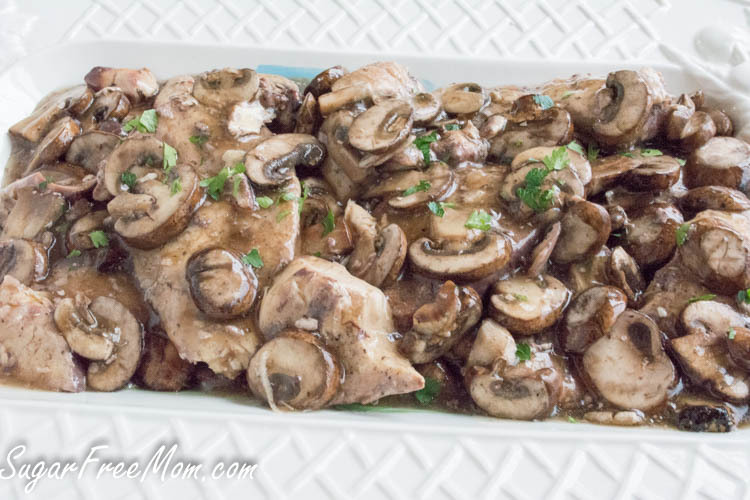 We put mushrooms in lots of dishes, so this Crock Pot Chicken Marsala looks mouthwatering! 15. One pot meals are my absolute favorite because who wants to wash a lot of dishes? Not me! 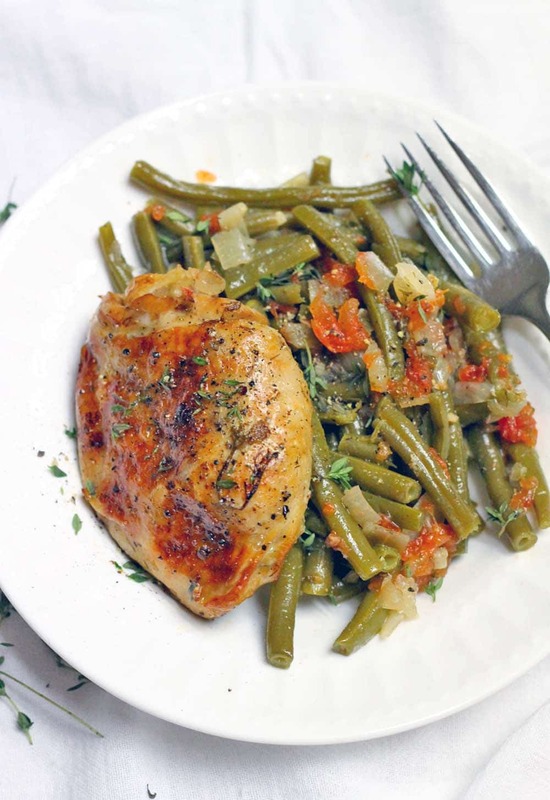 Slow Cooker Greek-Style Green Beans and Chicken Thighs fits the bill nicely! 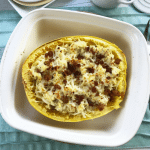 If you liked this collection of Low Carb Crock Pot Recipes, take a look at these collections, too! 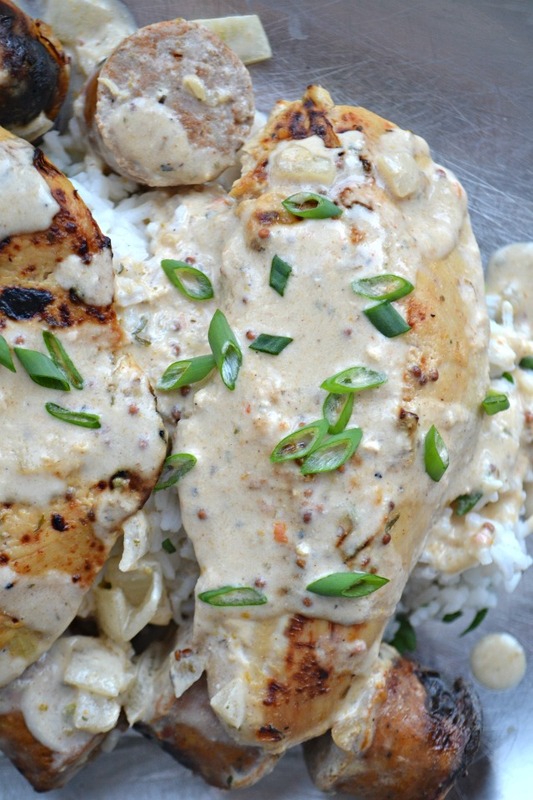 Thank you for linking to my Greek-Style Green Beans and Chicken Thighs! I honestly don’t know what I’d do without my slow cooker. It’s a life saver. 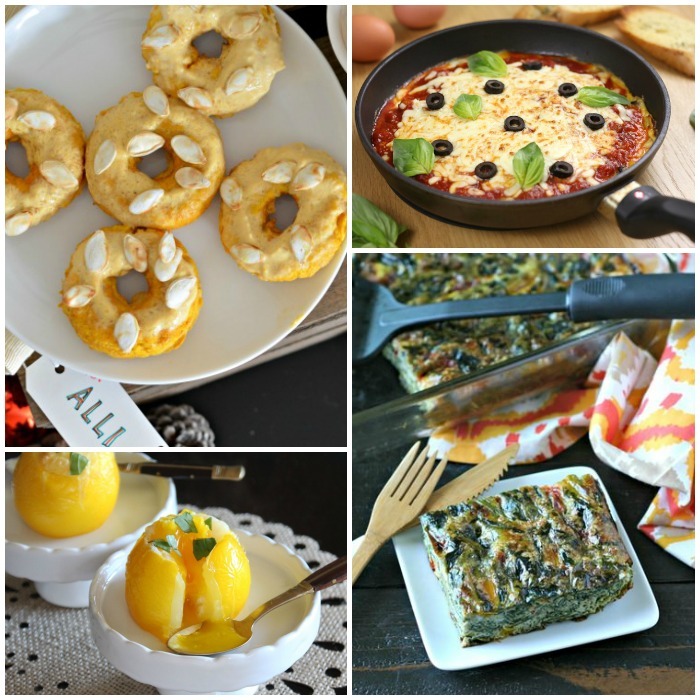 Great round-up- can’t wait to try some of these! Same here… It’s such a time saver. Thanks for stopping by, Elizabeth! Thanks so much for the shou-out! Sharing now!